The U.S Federal Railroad Administration awarded New York Metro-North Railroad a USD 2.3 million grant to support Positive Train Control (PTC) communications testing. Metro-North was awarded the grant for its proposal to establish a test lab to help the rail efficiently investigate radio spectrum issues and better meet the challenges of making PTC operationally reliable along the Northeast corridor. “Safety is a core value of Metro-North, and this test lab will allow us to move ahead with full PTC implementation and ensure on-going service reliability. 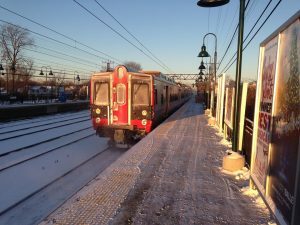 I congratulate our PTC team at Metro-North on this achievement, and we’ll continue to aggressively look for new and better ways to improve safety throughout the railroad,” Catherine Rinaldi, Metro-North Railroad President said. The grant will help Metro-North improve the performance of PTC radio spectrum utilization required to make PTC operational on the Northeast Corridor.